The birth anniversary of former Attorney General and President's Counsel late K C Kamalasabayson (PC) will be observed today (12). Kamalasabayson who was affectionately referred to as "Saba" in the Attorney-General's Department was a towering figure whose name will be written large in the annals of Sri Lanka's legal history. His profound scholarship, brilliance as an Attorney-General, significant service in the spheres of legal, social and religious activities and high moral character singled him out as one of the greatest Sri Lankans in modern times. He received his early education at S Thomas' College, Mount Lavinia which has produced many illustrious sons of Sri Lanka who have left indelible impressions on the sands of time. His Alma Mater had instilled in him some of the great values like sense of justice, fairplay, integrity and desire to treat everybody equally irrespective of race, religion, caste, creed or social status. He always conducted himself from the sturdy platform of right and wrong. He knew no discrimination and rose above narrow parochialism, regionalism, sectarianism and communalism. Further, he was one of the most polished, persuasive and hard working Attorney-General's whose methodical and meticulous preparation of the work entrusted to him was an exercise in unbounded patience, total dedication and also maximum assistance to the Bench. In fact, he discharged his responsibilities with unsurpassed distinction and unsullied honour. Blessed with a seemingly inexhaustible supply of energy, bubbling enthusiasm, inspiring leadership, quickness of thought, unyielding determination, dedication, devotion to duty, high degree of discipline and profound commitment, he attained eminence as a great civil lawyer. Kamalasabayson's entire working life as a lawyer was spent at the Attorney-General's Department and he was always a source of strength and encouragement to all the officers in the Department. He kept his doors opened to the entire staff of the Department. He empathized with their problems and his wide counsel was always greatly appreciated by anyone who sought his advice. The life of Kamalasabayson could be summed up in the words of the great Bard. His life was gentle and the elements so mixed in him that nature might stand up and say to the world, "this was a man." In fact, it is very often said that "the truly great are not the men of wealth, of possessions, not men who gain name and fame, but those who testify to the truth in them and refuse to compromise whatever be the cost. They are determined to do what they consider to be right. We may punish their bodies, refuse them comforts, but we cannot buy their souls, we cannot break their spirits. Whoever possess these invulnerability of spirit even to a little extent deserves our admiration." Indeed, his greatness was unique. There was a ring of authenticity and nobility of courage and earnestness in whatever he did. He always maintained human and humane qualities like simplicity, humility and humanity and was constantly and consistently pragmatic and practical in his approach to the problems in the Attorney-General's Department. He was willing to seek out and accept solutions wherever they could be found. Kamalasabayson on completion of his secondary education at S. Thomas' College, entered the Sri Lanka Law College and passed out as an Advocate with first class honours in November 1972. Thereafter he worked in the Chambers of G F Sethukavalar and Bala Nadarajah and joined the Attorney-General's Department as a State Counsel on August 1, 1974. By sheer dint of hard work and his command of the English language combined with the knowledge of the law and with his winsome ways, he won the confidence, appreciation and recognition of the Bench and the bar as an up and coming member of the legal profession. When he walked into the Court, he knew his brief like the back of his hand and what he did not know was not worth knowing. His Court craft was admirable and unmatched. 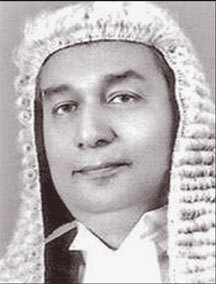 Kamalasabayson was promoted as a Senior State Counsel in 1983. Thereafter he was elevated to the position of Deputy Solicitor-General. 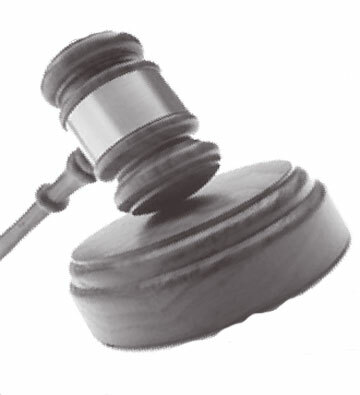 Subsequently, he was appointed as additional Solicitor-General and in 1998, he was appointed as Solicitor General. In 1999, he was appointed as Attorney-General which post he held until his retirement. While serving in the Department, he obtained his Master's Degree in Law from the University of Colombo in 1994 and another Master's in Law from the University of London in 1995. He was a visiting lecturer and examiner at the Sri Lanka Law College and also a visiting lecturer at the Faculty of Law, University of Colombo. Kamalasabayson had one of the finest legal brains. He could think clearly, logically and incisively. He was a brilliant lawyer with great intellectual attainments, personal charm, courteous cheerful disposition and a warm hearted, genuine, sincere friend with a fund of common sense. Besides, he was very much engaged in social and religious activities which brought him tremendous appreciation and recognition from all communities and denominations. It is said that "behind the success of every man there is a woman." His wife "Ramani" was a source of encouragement and a tower of strength in all his endeavours. She is a personification and embodiment of all the virtues of a Hindu woman. They were an idyllic couple intrinsically blended into one being through the rough and tumble of life, finding comfort, solace and happiness in each other through the hazards and hassles of life. She provide Kamalasabayson all the comforts and found happiness only in his happiness. His only daughter Vidya Kandeepan is an Attorney at Law who holds a Master's Degree from the Faculty of Law, University of Colombo and his son-in-law Balendra Kandipan holds a Master's Degree in Business Management (MBA) and is a multi-faceted and multi-dimensional personality of high intellectual calibre, who is very much involved in art and culture and a television personality and is held in high esteem by all the communities. Kamalasabayson shone as a bright star among the galaxy of several legal luminaries and an intellectual giant in his own right.